Downright Featherbeds - Swatches may be available. Downright featherbeds are an example of commitment to quality. Downright designed two different styles of featherbeds. All are generously overfilled with the finest quality down and feathers. All featherbeds are finished with double stitching and white piping. No matter which style you choose, you'll be getting quality features like a strong 205-thread count and 100% cotton shell. As featherbeds cannot be washed, we strongly recommend using a 100% cotton removable featherbed cover. 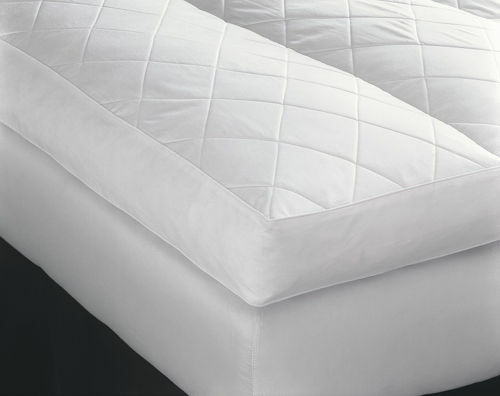 The Classic Featherbed is divided into vertical channels and has a 4" high gusset, similar to a mattress. A diamond quilted top provides extra comfort and durability, making this featherbed a most welcome addition to your bed. Discover a new revolutionary featherbed designed for the ultimate in comfort and luxury. The Deluxe featherbed is overfilled with feathers on the bottom for support, and topped with a thick layer of the softest down that will leave you rested and utterly content. We recommend featherbed covers, as featherbeds cannot be washed. Sold separately. 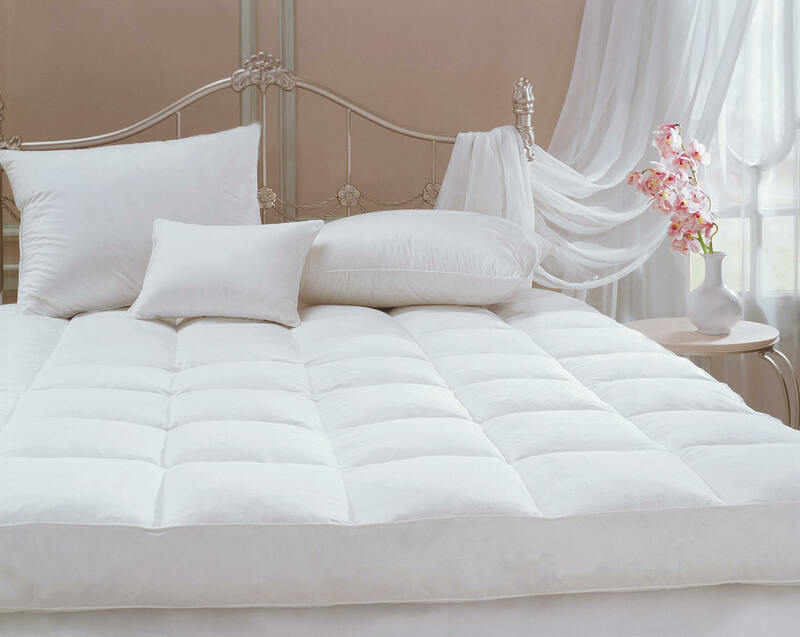 As featherbeds cannot be washed, we strongly recommend using a 100 % cotton removable featherbed cover.